Everyone has experienced a financial difficulty at one time or another. Maybe you lost your job, had an unexpected medial issue or expensive repairs on your vehicle. Regardless of the situation, few people can say that they have never had a month where they had to choose between bills. If you have experienced financial difficulty and were forced to miss a car payment, it doesn’t have to mean that you lose your car. Contrary to popular belief, no one wins in repossession. Studies from agencies like American Financial Services Association and Experian Automotive have estimated an average $8,000 loss to dealerships per repossession. The loan customer loses their vehicle and the dealership ends up having to try to re-sell … frequently at a loss. Dealerships want you to make your payments, close your loan, and hopefully come back next time you need a vehicle. On average, an American will purchase twelve vehicles in their lifetime. Loan companies and dealerships would love for you to make all of those purchases with them, and repossessions only sever the customer relationship. 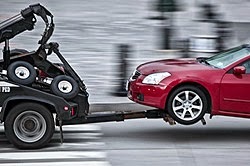 Your missed payment does not have to end in repossession. Auto lenders and dealerships are likely to work with you if you have a financial difficulty. Communication is paramount when dealing with your lender. Here are some tips to avoid losing your vehicle and defaulting on your loan. 1. Ask For A Payment Extension - If you have a situation that is going to impact your ability to pay, call your lender immediately. Dealerships and financial lenders will be much more likely to work with you if you communicate your situation as soon as possible. Be honest. If this is not a situation where one-time payment forgiveness will get you back on track, let them know so you can utilize other long-term options that may be available. If it is a temporary situation, ask for a payment extension. This will give you a few extra days to make your payment and get back on track. 2. Make an Agreement for Partial Payment – A partial payment can be a sign of good faith to the lender or dealership. Pay what you can and make an agreement to pay the rest on a specific date. Your lender may even waive any late fee if they have partial payment and an agreement for the remaining amount. 3. Ask Your Lender to Change Your Due Date – Sometimes loan customers have changes in the way money flows in to the household. Maybe you got a new job and get paid on different days than you did when you started the loan. Maybe you have other bills that are near your car payment date and stretching the money isn’t working. Some lenders and dealerships will agree to change your payment date, disbursing payments more evenly throughout the month for you and making them easier to pay. 4. Ask about Deferred Payments - Are you always just one payment behind? Maybe you got behind a few months ago and haven’t been able to catch up. Some lenders will allow you to defer a payment, effectively allowing you to skip a payment and add it to the end of the loan. 5. Ask for Loan Modification – If your problem is serious or you are anticipating long-term financial trouble, your lender may agree to a modification of the terms. By extending your 24 month contract to a 36 month contract, you could lower your monthly installment payment significantly. You will likely pay additional interest by extending the loan, but it could prevent default and allow you to get back on track. 6. Refinance Your Loan – Depending on your contract and lender, you may be able to completely refinance. Especially if you communicated with your lender prior to missing payments, you may be eligible for a lower interest rate and better terms. Ask your lender if they offer a refinancing program. 7. Trade-In or Sell the Vehicle – If all negotiation tactics fail with your lender or you simply can’t afford the vehicle anymore regardless of how significantly the loan is modified, trading in your vehicle could prevent costly damage to your credit or losing all equity you may have in the vehicle. Dealerships like ours will buy your car even if you have a current loan balance. You can either sell the vehicle outright or use the equity on your next, more affordable vehicle. Repossessions are negative for everyone involved. Communication with your lender can help you avoid disaster. Lenders like us want you to make your payments, close your loan and come back and buy another vehicle when the time comes. The worst thing you can do is nothing, and the worst thing your lender can say is “no”. Most lenders will be willing to work with you to keep you in the contract. If you are in a situation where you can no longer afford your current vehicle, use our trade appraisal form to get an offer on your vehicle. We will buy your car, even if you’re not buying from us. If you’re looking to get a more affordable vehicle, check out our inventory. We have many cars,trucks and SUVs and will give you the highest trade value possible.